1. Henoch Hirsch Horwitz/Gurevitch/Gurvich was born 1838, Horwitz Family Residence, Rezekne, Latgale, Latvia; died 18 May 1909, Horwitz Family Residence, Rezekne, Latgale, Latvia. 2. Eliah Horwitz was born 1859, Horwitz Family Residence, Rezekne, Latgale, Latvia; died 5 Jan 1906, Horwitz Family Residence, Rezekne, Latgale, Latvia. 3. Zalman Ber Horwitz was born 1864, Horwitz Family Residence, Rezekne, Latgale, Latvia; died Abt 1938, Chicago, Cook County, Illinois, USA. 4. 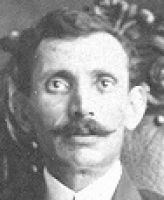 Bashe Gene Horwitz was born 1866, Horwitz Family Residence, Rezekne, Latgale, Latvia; died 17 Sep 1866, Horwitz Family Residence, Rezekne, Latgale, Latvia. 5. Iser Jankel Horwitz was born Abt 1872, Horwitz Family Residence, Rezekne, Latgale, Latvia; died Abt 1935, Chicago, Cook County, Illinois, USA. 6. Hirsch Horwitz was born Jan 1872, Horwitz Family Residence, Rezekne, Latgale, Latvia; died 1 May 1872, Horwitz Family Residence, Rezekne, Latgale, Latvia. 7. Khaysore Dobe Horowitz was born Abt 1873, Horwitz Family Residence, Rezekne, Latgale, Latvia; died Abt 1941, SHOA, Latvia. 8. 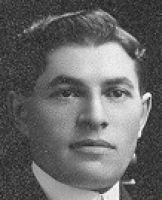 Max Hurwitz was born 22 Apr 1875, Horwitz Family Residence, Rezekne, Latgale, Latvia; died 15 July 1944, Chicago, Cook County, Illinois, USA; was buried , Waldheim Jewish Cemetery, Chicago, Illinois. 9. Abe Rafael Horwitz/Gurevich/Gurvich was born 18 Jan 1880, Horwitz Family Residence, Rezekne, Latgale, Latvia; died 21 Oct 1946, Chicago, Cook County, Illinois, USA. 10. 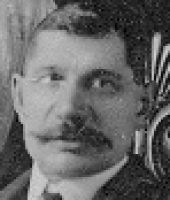 Nathan/Nottie/Notta/Natha Gurevitch/Horwitz was born 18 Jan 1880, Horwitz Family Residence, Rezekne, Latgale, Latvia; died 8 Dec 1941, Rumbula, Riga, Latvia. 11. Reuben Horwitz was born 5 July 1882, Horwitz Family Residence, Rezekne, Latgale, Latvia; died Abt 1948, Chicago, Cook County, Illinois, USA. 12. 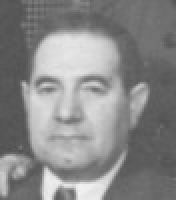 Getzel Leizer Horwitz was born Abt 1885, Horwitz Family Residence, Rezekne, Latgale, Latvia; died 14 Aug 1888, Horwitz Family Residence, Rezekne, Latgale, Latvia. 13. Simon Horwitz was born 26 Oct 1886, Horwitz Family Residence, Rezekne, Latgale, Latvia; died 14 Jan 1940, Chicago, Cook County, Illinois, USA; was buried 16 Jan 1940, Satinover Cemetery, Proviso, Cook County, IL. 14. 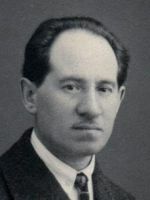 Aizik Horwitz/Gurevitch/Gurvich was born 1887, Rezekne, Latgale, Latvia; died 28 Aug 1888, Rezekne, Latgale, Lavia. 15. Morris Horwitz was born 25 Aug 1891, Horwitz Family Residence, Rezekne, Latgale, Latvia; died Abt 1945, Chicago, Cook County, Illinois, USA. 16. Ida Horwitz was born Abt 1893, Horwitz Family Residence, Rezekne, Latgale, Latvia; died Abt 1977, Chicago, Cook County, Illinois, USA. 17. 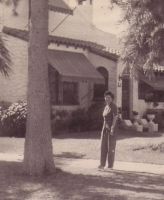 Florence Horwitz was born 25 Sep 1896, Horwitz Family Residence, Rezekne, Latgale, Latvia; died 16 Feb 1967, Inglewood, CA. 18. Bessie Horwitz was born 25 Sep 1896, Horwitz Family Residence, Rezekne, Latgale, Latvia; died 15 May 1979, Los Angeles, Los Angeles County, California. 2. 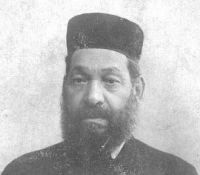 Eliah Horwitz (1.Henoch1) was born 1859, Horwitz Family Residence, Rezekne, Latgale, Latvia; died 5 Jan 1906, Horwitz Family Residence, Rezekne, Latgale, Latvia. 19. 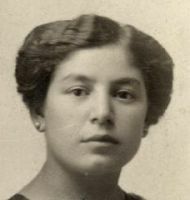 Leyba Gurevitz was born 17 Aug 1882, Horwitz Family Residence, Rezekne, Latgale, Latvia; died 26 Apr 1943, Rusk, Texas. 20. 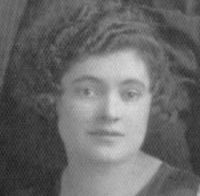 Fanny Horwitz was born 18 Apr 1884, Horwitz Family Residence, Rezekne, Latgale, Latvia. 21. 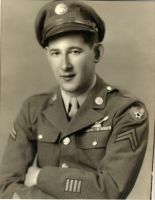 Jacob David Horwitz was born Abt 1898, Horwitz Family Residence, Rezekne, Latgale, Latvia; died 1970, Seal Beach, CA. 22. Sam Horwitz was born 10 Nov 1899, Horwitz Family Residence, Rezekne, Latgale, Latvia; died Mar 1984, Chicago, Cook County, Illinois, USA. 23. Dora Horwitz was born 15 Apr 1901, Horwitz Family Residence, Rezekne, Latgale, Latvia; died Feb 1979, Chicago, Cook County, Illinois, USA. 24. Ida Horwitz was born Abt 1902, Horwitz Family Residence, Rezekne, Latgale, Latvia. 25. Edward Horwitz was born Abt 1904, Horwitz Family Residence, Rezekne, Latgale, Latvia; died Abt 1952, Chicago, Cook County, Illinois, USA. 3. Zalman Ber Horwitz (1.Henoch1) was born 1864, Horwitz Family Residence, Rezekne, Latgale, Latvia; died Abt 1938, Chicago, Cook County, Illinois, USA. 26. Fannie Horwitz was born , Horwitz Family Residence, Rezekne, Latgale, Latvia. 27. Sam Horwitz, DDS was born Abt 1897, Horwitz Family Residence, Rezekne, Latgale, Latvia; died , Prob. Los Angeles, CA. 28. Sophie Horwitz was born Abt 1900, Horwitz Family Residence, Rezekne, Latgale, Latvia. 29. Emma Horwitz was born Abt 1902, Horwitz Family Residence, Rezekne, Latgale, Latvia. 30. Louis Horwitz was born Abt 1903, Horwitz Family Residence, Rezekne, Latgale, Latvia. 5. Iser Jankel Horwitz (1.Henoch1) was born Abt 1872, Horwitz Family Residence, Rezekne, Latgale, Latvia; died Abt 1935, Chicago, Cook County, Illinois, USA. 31. Philip Horwitz was born Abt 1903, Horwitz Family Residence, Rezekne, Latgale, Latvia; was buried , Chicago, Cook County, Illinois, USA. 32. Maurice Horwitz was born Abt 1905, Horwitz Family Residence, Rezekne, Latgale, Latvia; died , Chicago, Cook County, Illinois, USA. 33. Solomon Horwitz was born 1 Mar 1907, Horwitz Family Residence, Rezekne, Latgale, Latvia; died 16 Nov 1995, Los Angeles, Los Angeles County, California; was buried , Hollywood Cemetery, Jewish Section, Gower and Melrose. 7. Khaysore Dobe Horowitz (1.Henoch1) was born Abt 1873, Horwitz Family Residence, Rezekne, Latgale, Latvia; died Abt 1941, SHOA, Latvia. 34. 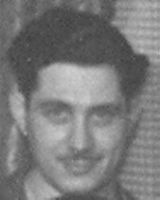 Son-1 Rubin was born , Horwitz Family Residence, Rezekne, Latgale, Latvia; died Abt 1941, SHOA, Latvia. 35. 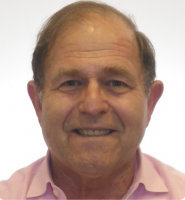 Son-2 Rubin was born , Horwitz Family Residence, Rezekne, Latgale, Latvia; died , SHOA, Latvia. 36. 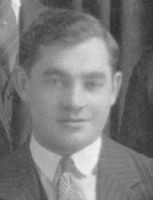 Son-3 Rubin was born , Horwitz Family Residence, Rezekne, Latgale, Latvia; died Abt 1941, SHOA, Latvia. 37. Daughter-1 Rubin was born , Horwitz Family Residence, Rezekne, Latgale, Latvia; died Abt 1941, SHOA, Latvia. 38. 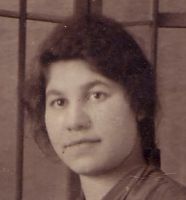 Daughter-2 Rubin was born , Horwitz Family Residence, Rezekne, Latgale, Latvia; died Abt 1941, SHOA, Latvia. 8. Max Hurwitz (1.Henoch1) was born 22 Apr 1875, Horwitz Family Residence, Rezekne, Latgale, Latvia; died 15 July 1944, Chicago, Cook County, Illinois, USA; was buried , Waldheim Jewish Cemetery, Chicago, Illinois. 39. George Hurwitz was born Abt 1905, Horwitz Family Residence, Rezekne, Latgale, Latvia; died Bef 1979. 40. Paul Hurwitz, MD was born 14 Aug 1907, Chicago, Cook County, Illinois, USA; died Jul 1986, Skokie, Cook, Illinois. 41. Bernard Hurwitz was born Abt 1909, Chicago, Cook County, Illinois, USA. 42. 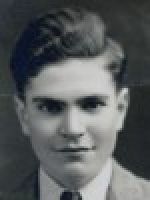 Henry H Hurwitz was born Abt 1914, Chicago, Cook County, Illinois, USA; died 24 Sep 1941, Chicago, Cook County, Illinois, USA; was buried , Waldheim Jewish Cemetery, Chicago, Illinois. 9. Abe Rafael Horwitz/Gurevich/Gurvich (1.Henoch1) was born 18 Jan 1880, Horwitz Family Residence, Rezekne, Latgale, Latvia; died 21 Oct 1946, Chicago, Cook County, Illinois, USA. 43. Baby Boy Horwitz was born 2 Oct 1914, Chicago, Cook County, Illinois, USA; died 2 Oct 1914, Chicago, Cook County, Illinois, USA. 44. Milton Horwitz was born 2 Oct 1914, Chicago, Cook County, Illinois, USA; died 9 Jul 1974, Whittier, Los Angeles, Californioa, U.S.A.; was buried 11 Jul 1974, Mount Sinai Memorial Park, Burbank, Los Angeles, California, USA. 45. Harry Henry Howard/Horwitz was born 22 May 1919, Chicago, Cook County, Illinois, USA; died 13 Jul 1974, Kahuku, Oahu, Hawaii; was buried 20 July1974, Laie Cemetery, Laie, Oahu, Hawaii, USA. 46. Bernard Howard/Horwitz was born 16 Sep 1924, Mt. Sinai Hospital, Chicago, Illinois; died 12 Jun 1983, Hacienda Heights, Los Angeles County, California. 47. Leo Horwitz was born 10 Jul 1926, Chicago, Cook County, Illinois, USA; died 1928, Chicago, Cook County, Illinois, USA. 48. Leah Horwitz was born 26 Mar 1928, Chicago, Cook County, Illinois, USA; died 26 Mar 1928, Chicago, Cook County, Illinois, USA. 10. Nathan/Nottie/Notta/Natha Gurevitch/Horwitz (1.Henoch1) was born 18 Jan 1880, Horwitz Family Residence, Rezekne, Latgale, Latvia; died 8 Dec 1941, Rumbula, Riga, Latvia. 49. Chaim Gurevitch was born 17 Jan 1915, Riga, Vidzeme, Latvia; died 8 Dec 1941, Rumbula, Riga, Latvia. 11. Reuben Horwitz (1.Henoch1) was born 5 July 1882, Horwitz Family Residence, Rezekne, Latgale, Latvia; died Abt 1948, Chicago, Cook County, Illinois, USA. 51. Henry Horwitz, DDS was born 2 Nov 1910, Chicago, Cook County, Illinois, USA; died 11 Dec 1997, San Jose, Santa Clara, California. 52. Harvey Horwitz, MD was born 10 Aug 1913, Chicago, Cook County, Illinois, USA; died 24 Dec 1992, Lima, OH. 13. Simon Horwitz (1.Henoch1) was born 26 Oct 1886, Horwitz Family Residence, Rezekne, Latgale, Latvia; died 14 Jan 1940, Chicago, Cook County, Illinois, USA; was buried 16 Jan 1940, Satinover Cemetery, Proviso, Cook County, IL. 54. Child Horwitz died Abt 7 months. 15. Morris Horwitz (1.Henoch1) was born 25 Aug 1891, Horwitz Family Residence, Rezekne, Latgale, Latvia; died Abt 1945, Chicago, Cook County, Illinois, USA. 56. Beatrice Horwitz was born 9 Feb 1917, Chicago, Cook County, Illinois, USA; died 23 Nov 1997, Skokie, Cook, Illinois, USA; was buried 25 Nov 1997, Shalom Memorial Park, Arlington Heights, Illinois, USA. 16. Ida Horwitz (1.Henoch1) was born Abt 1893, Horwitz Family Residence, Rezekne, Latgale, Latvia; died Abt 1977, Chicago, Cook County, Illinois, USA. 61. 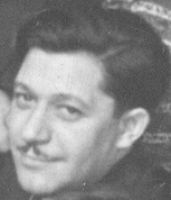 Edward Levin died Bef 1979. 62. Oscar Levin was born 4 Dec 1918, Chicago, Cook, Illinois, USA; died 24 Aug 2005, Webster, Harris, Texas, USA; was buried , Pearland, Brazoria, Texas, USA. 17. 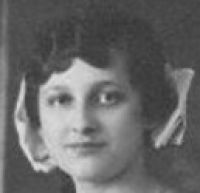 Florence Horwitz (1.Henoch1) was born 25 Sep 1896, Horwitz Family Residence, Rezekne, Latgale, Latvia; died 16 Feb 1967, Inglewood, CA. 65. Stuart Dorin was born 9 May 1924, Chicago, Cook County, Illinois, USA; died 1958, California, USA. 67. Jack Dorin was born 6 May 1932, Chicago, Cook County, Illinois, USA; died 16 Jan 1989, Torrance, California. 18. 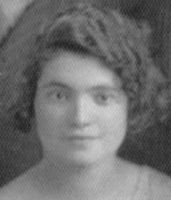 Bessie Horwitz (1.Henoch1) was born 25 Sep 1896, Horwitz Family Residence, Rezekne, Latgale, Latvia; died 15 May 1979, Los Angeles, Los Angeles County, California. 68. Harold Laibovitz died Abt 11 months. 70. Alice Laibovitz was born 18 Mar 1919, Chicago, Cook County, Illinois, USA; died Apr 2000, Chicago, Cook County, Illinois, USA. 72. Sophie Laibovitz was born 31 Jan 1929, Chicago, Cook County, Illinois, USA; died 1982, Chicago, Cook County, Illinois, USA. 19. Leyba Gurevitz (2.Eliah2, 1.Henoch1) was born 17 Aug 1882, Horwitz Family Residence, Rezekne, Latgale, Latvia; died 26 Apr 1943, Rusk, Texas. 20. 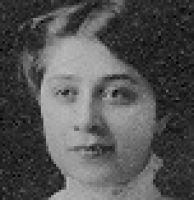 Fanny Horwitz (2.Eliah2, 1.Henoch1) was born 18 Apr 1884, Horwitz Family Residence, Rezekne, Latgale, Latvia. 73. Bernice Katler was born 1919, Chicago, Cook County, Illinois, USA; died Bef 1930, Chicago, Cook County, Illinois, USA. 21. Jacob David Horwitz (2.Eliah2, 1.Henoch1) was born Abt 1898, Horwitz Family Residence, Rezekne, Latgale, Latvia; died 1970, Seal Beach, CA. 74. Delores Hewitt Horwitz was born 30 Mar 1924, Chicago, Cook County, Illinois, USA; died 24 Sep 1987, Las Vegas, Clark County, Nevada, U.S.A.; was buried Sep 1987, Las Vegas, Clark County, Nevada, U.S.A..
75. Morton Horwitz was born 14 Mar 1931, Chicago, Cook County, Illinois, USA; died Oct 1987, Chicago, Cook County, Illinois, USA. 22. Sam Horwitz (2.Eliah2, 1.Henoch1) was born 10 Nov 1899, Horwitz Family Residence, Rezekne, Latgale, Latvia; died Mar 1984, Chicago, Cook County, Illinois, USA. 77. Elenore Horwitz was born Abt 1924, Chicago, Cook County, Illinois, USA. 78. Edythe Horwitz was born 1927, Chicago, Cook County, Illinois, USA. 23. 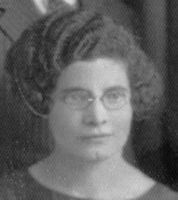 Dora Horwitz (2.Eliah2, 1.Henoch1) was born 15 Apr 1901, Horwitz Family Residence, Rezekne, Latgale, Latvia; died Feb 1979, Chicago, Cook County, Illinois, USA. 24. Ida Horwitz (2.Eliah2, 1.Henoch1) was born Abt 1902, Horwitz Family Residence, Rezekne, Latgale, Latvia. 82. Charmaine Rosenberg was born 1928, Chicago, Cook County, Illinois, USA. 25. 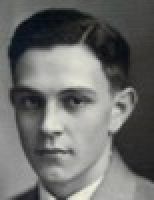 Edward Horwitz (2.Eliah2, 1.Henoch1) was born Abt 1904, Horwitz Family Residence, Rezekne, Latgale, Latvia; died Abt 1952, Chicago, Cook County, Illinois, USA. 84. Gerald Allen Horwitz was born 9 Oct 1935, Chicago, Cook County, Illinois, USA. 26. 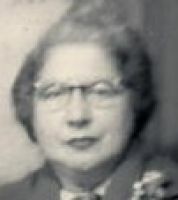 Fannie Horwitz (3.Zalman2, 1.Henoch1) was born , Horwitz Family Residence, Rezekne, Latgale, Latvia. 33. 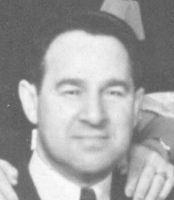 Solomon Horwitz (5.Iser2, 1.Henoch1) was born 1 Mar 1907, Horwitz Family Residence, Rezekne, Latgale, Latvia; died 16 Nov 1995, Los Angeles, Los Angeles County, California; was buried , Hollywood Cemetery, Jewish Section, Gower and Melrose. 39. George Hurwitz (8.Max2, 1.Henoch1) was born Abt 1905, Horwitz Family Residence, Rezekne, Latgale, Latvia; died Bef 1979. 88. Victor Hurwitz was born 5 May 1932, Chicago, Cook County, Illinois, USA; died 4 Jul 1973, Chicago, Cook County, Illinois, USA; was buried , Waldheim Jewish Cemetery, Chicago, Illinois. 40. Paul Hurwitz, MD (8.Max2, 1.Henoch1) was born 14 Aug 1907, Chicago, Cook County, Illinois, USA; died Jul 1986, Skokie, Cook, Illinois. 44. Milton Horwitz (9.Abe2, 1.Henoch1) was born 2 Oct 1914, Chicago, Cook County, Illinois, USA; died 9 Jul 1974, Whittier, Los Angeles, Californioa, U.S.A.; was buried 11 Jul 1974, Mount Sinai Memorial Park, Burbank, Los Angeles, California, USA. 45. Harry Henry Howard/Horwitz (9.Abe2, 1.Henoch1) was born 22 May 1919, Chicago, Cook County, Illinois, USA; died 13 Jul 1974, Kahuku, Oahu, Hawaii; was buried 20 July1974, Laie Cemetery, Laie, Oahu, Hawaii, USA. 100. Fred Murray Howard was born 4 Jun 1950, La Puente, Los Angeles County, California; died 30 Dec 2011, Hisperia, San Bernardino, California; was buried 10 Jan 2012, Riverside National Cemetary, Riverside, California. 46. Bernard Howard/Horwitz (9.Abe2, 1.Henoch1) was born 16 Sep 1924, Mt. Sinai Hospital, Chicago, Illinois; died 12 Jun 1983, Hacienda Heights, Los Angeles County, California. 108. Martin John Howard was born 19 Jan 1954, Azuza, Los Angeles County, California, USA; died Abt 2008, Mr. Shasta City, Siskiyou, California, USA. 51. Henry Horwitz, DDS (11.Reuben2, 1.Henoch1) was born 2 Nov 1910, Chicago, Cook County, Illinois, USA; died 11 Dec 1997, San Jose, Santa Clara, California. 52. Harvey Horwitz, MD (11.Reuben2, 1.Henoch1) was born 10 Aug 1913, Chicago, Cook County, Illinois, USA; died 24 Dec 1992, Lima, OH. 114. Nancy Horwitz was born 4 Feb 1945, Chicago, Cook County, Illinois, USA. 115. Janet Horwtiz was born 10 May 1947, Chicago, Cook County, Illinois, USA. 116. 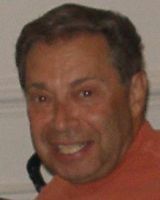 Paul R. Horwitz, MD was born 10 Dec 1952, Chicago, Cook County, Illinois, USA. 56. Beatrice Horwitz (15.Morris2, 1.Henoch1) was born 9 Feb 1917, Chicago, Cook County, Illinois, USA; died 23 Nov 1997, Skokie, Cook, Illinois, USA; was buried 25 Nov 1997, Shalom Memorial Park, Arlington Heights, Illinois, USA. 61. Edward Levin (16.Ida2, 1.Henoch1) died Bef 1979. 62. 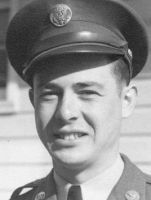 Oscar Levin (16.Ida2, 1.Henoch1) was born 4 Dec 1918, Chicago, Cook, Illinois, USA; died 24 Aug 2005, Webster, Harris, Texas, USA; was buried , Pearland, Brazoria, Texas, USA. 134. Daniel Leonard Levin was born 18 Dec 1953, Galveston, TX. 65. Stuart Dorin (17.Florence2, 1.Henoch1) was born 9 May 1924, Chicago, Cook County, Illinois, USA; died 1958, California, USA. 67. Jack Dorin (17.Florence2, 1.Henoch1) was born 6 May 1932, Chicago, Cook County, Illinois, USA; died 16 Jan 1989, Torrance, California. 146. Delise Dorin died Deceased, Torrance, CA. 147. Donna Dorin was born 17 Apr 1954, Chicago, Illinois; died Deceased, Rialto, CA . 70. 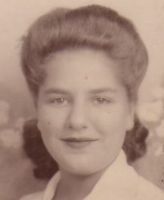 Alice Laibovitz (18.Bessie2, 1.Henoch1) was born 18 Mar 1919, Chicago, Cook County, Illinois, USA; died Apr 2000, Chicago, Cook County, Illinois, USA. 72. Sophie Laibovitz (18.Bessie2, 1.Henoch1) was born 31 Jan 1929, Chicago, Cook County, Illinois, USA; died 1982, Chicago, Cook County, Illinois, USA. 156. Richard Steven Wallace was born 5 Feb 1953, Chicago, Cook County, Illinois, USA; died 16 Nov 2002, Chicago, Cook County, Illinois, USA. 157. Jill Wallace was born 7 Jul 1956, Chicago, Cook County, Illinois, USA; died 7 Jun 2004, Chicago, Cook County, Illinois, USA. 74. 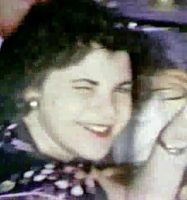 Delores Hewitt Horwitz (21.Jacob3, 2.Eliah2, 1.Henoch1) was born 30 Mar 1924, Chicago, Cook County, Illinois, USA; died 24 Sep 1987, Las Vegas, Clark County, Nevada, U.S.A.; was buried Sep 1987, Las Vegas, Clark County, Nevada, U.S.A..
159. Marvin Jay Zatz was born 18 Feb 1948, Chicago, Cook County, Illinois, USA. 75. Morton Horwitz (21.Jacob3, 2.Eliah2, 1.Henoch1) was born 14 Mar 1931, Chicago, Cook County, Illinois, USA; died Oct 1987, Chicago, Cook County, Illinois, USA. 77. Elenore Horwitz (22.Sam3, 2.Eliah2, 1.Henoch1) was born Abt 1924, Chicago, Cook County, Illinois, USA. 78. Edythe Horwitz (22.Sam3, 2.Eliah2, 1.Henoch1) was born 1927, Chicago, Cook County, Illinois, USA. 175. Edward Aaron Cohen was born 10 Feb 1953, Chicago, Cook County, Illinois, USA. 176. Sidney Bernard Cohen was born 31 Jan 1955, Chicago, Cook County, Illinois, USA. 177. Tami Cohen was born 5 Dec 1959, Chicago, Cook County, Illinois, USA. 178. Frani Cohen was born 5 Dec 1959, Chicago, Cook County, Illinois, USA. 82. Charmaine Rosenberg (24.Ida3, 2.Eliah2, 1.Henoch1) was born 1928, Chicago, Cook County, Illinois, USA. 84. Gerald Allen Horwitz (25.Edward3, 2.Eliah2, 1.Henoch1) was born 9 Oct 1935, Chicago, Cook County, Illinois, USA. 189. Edward Alan Horwitz was born 6 Jan 1968, Chicago, Cook County, Illinois, USA. 197. Steven Scott Howard was born 2 Jul 1966, Sierra Madre, Los Angeles County, California; died 17 May 2004, Las Vegas, Clark County, Nevada, U.S.A.; was buried 22 May 2004, Wasatch Lawn Cemetery, Salt Lake City, Salt Lake County, Utah USA. 100. 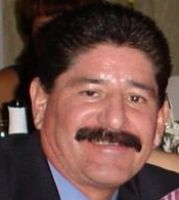 Fred Murray Howard (45.Harry3, 9.Abe2, 1.Henoch1) was born 4 Jun 1950, La Puente, Los Angeles County, California; died 30 Dec 2011, Hisperia, San Bernardino, California; was buried 10 Jan 2012, Riverside National Cemetary, Riverside, California. 226. Joni Malia Rillamas was born 23 Feb 1975, Kahuku, Oahu, Hawaii; died 27 May 2007, Hawaii; was buried 12 Jun 2007, Hawaiian Memorial Park, Kaneohi, HI. 230. Derick Barnes Howard was born 9 Jul 1982, Provo, Utah County, Utah, USA; died 23 Oct 1982, American Fork, Utah County, Utah. 114. Nancy Horwitz (52.Harvey3, 11.Reuben2, 1.Henoch1) was born 4 Feb 1945, Chicago, Cook County, Illinois, USA. 244. Carolyn Ann Kahn was born 19 May 1973, Toledo, Lucas County, Ohio, USA. 116. Paul R. Horwitz, MD (52.Harvey3, 11.Reuben2, 1.Henoch1) was born 10 Dec 1952, Chicago, Cook County, Illinois, USA. 266. Lane Adam Levin was born 2 Jan 1980, Houston, Harris, Texas. 267. Matthew Cole Levin was born 14 Jun 1982, Houston, Harris, Texas. 268. 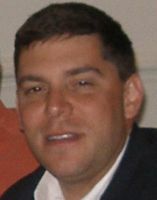 John Ernest Kacher was born 9 Nov 1977, Houston, Harris, Texas. 269. Michael Bryant Kacher was born 19 Jan 1981, Houston, Harris, Texas. 147. Donna Dorin (67.Jack3, 17.Florence2, 1.Henoch1) was born 17 Apr 1954, Chicago, Illinois; died Deceased, Rialto, CA . 287. Randi Hons was born 29 Mar 1974, Torrance, CA. 288. Timothy Hons was born 31 Jan 1976, Torrance, CA; died 19 Feb 1976, Torrance, CA; was buried , Green Hills Memorial Park, Rancho Palos Verdes, CA. 289. Robbimarie Hons was born 27 Nov 1976, Torrance, CA. 290. Ronald Hons was born 1 Mar 1979, Torrance, CA. 156. Richard Steven Wallace (72.Sophie3, 18.Bessie2, 1.Henoch1) was born 5 Feb 1953, Chicago, Cook County, Illinois, USA; died 16 Nov 2002, Chicago, Cook County, Illinois, USA. 157. Jill Wallace (72.Sophie3, 18.Bessie2, 1.Henoch1) was born 7 Jul 1956, Chicago, Cook County, Illinois, USA; died 7 Jun 2004, Chicago, Cook County, Illinois, USA. 159. Marvin Jay Zatz (74.Delores4, 21.Jacob3, 2.Eliah2, 1.Henoch1) was born 18 Feb 1948, Chicago, Cook County, Illinois, USA. 175. Edward Aaron Cohen (81.Living4, 24.Ida3, 2.Eliah2, 1.Henoch1) was born 10 Feb 1953, Chicago, Cook County, Illinois, USA. 176. Sidney Bernard Cohen (81.Living4, 24.Ida3, 2.Eliah2, 1.Henoch1) was born 31 Jan 1955, Chicago, Cook County, Illinois, USA. 177. Tami Cohen (81.Living4, 24.Ida3, 2.Eliah2, 1.Henoch1) was born 5 Dec 1959, Chicago, Cook County, Illinois, USA. 178. Frani Cohen (81.Living4, 24.Ida3, 2.Eliah2, 1.Henoch1) was born 5 Dec 1959, Chicago, Cook County, Illinois, USA. 189. Edward Alan Horwitz (84.Gerald4, 25.Edward3, 2.Eliah2, 1.Henoch1) was born 6 Jan 1968, Chicago, Cook County, Illinois, USA. 331. Matthew Horwitz was born 1995, Highland Park, IL; died 1995, Chicago, Cook County, Illinois, USA. 340. Clayton River Manassero was born 27 Oct 2004, Fullerton, Orange, California, USA. 341. Liam Richard Manassero was born 15 Aug 2007, Murrieta, California, USA. 342. Silas Ray Manassero was born 21 May 2009, Murrieta, California, USA. 343. Natalie Michelle Hudson was born 8 Oct 2006, Riverside, California, USA. 361. Aurora Juliet Harps was born 19 Jun 2010, Logan, Cache, Utah, USA. 365. Katie Margaret Baer was born 27 Jun 2015, Utah . 368. Emma Jane Dickes was born 22 Jun 2013, Salt Lake City, Salt Lake County, Utah, USA. 374. Ava Leilani Wall was born 5 Nov 2015, Salt Lake City, Salt Lake County, Utah, USA. 376. Daxton Eric Howard was born 30 Jan 2011, Utah, U.S.A..
266. Lane Adam Levin (132.Living4, 62.Oscar3, 16.Ida2, 1.Henoch1) was born 2 Jan 1980, Houston, Harris, Texas. 267. Matthew Cole Levin (132.Living4, 62.Oscar3, 16.Ida2, 1.Henoch1) was born 14 Jun 1982, Houston, Harris, Texas. 384. Bryant Cole Levin was born 1 Jan 2014, Austin, Travis County, Texas, U.S.A..
268. John Ernest Kacher (133.Living4, 62.Oscar3, 16.Ida2, 1.Henoch1) was born 9 Nov 1977, Houston, Harris, Texas. 385. Madeline Elizabeth Kacher was born 8 Aug 2008. 386. Emily Catherine Kacher was born 19 Oct 2010. 269. Michael Bryant Kacher (133.Living4, 62.Oscar3, 16.Ida2, 1.Henoch1) was born 19 Jan 1981, Houston, Harris, Texas. 387. Chloe Isabel Kacher was born 18 Dec 2011, Katy, TX. 388. Adalyn Marie Kacher was born 23 May 2013, Katy, TX. 389. Elle Dorin was born 24 Mar 2011, Los Angeles County, California, USA.